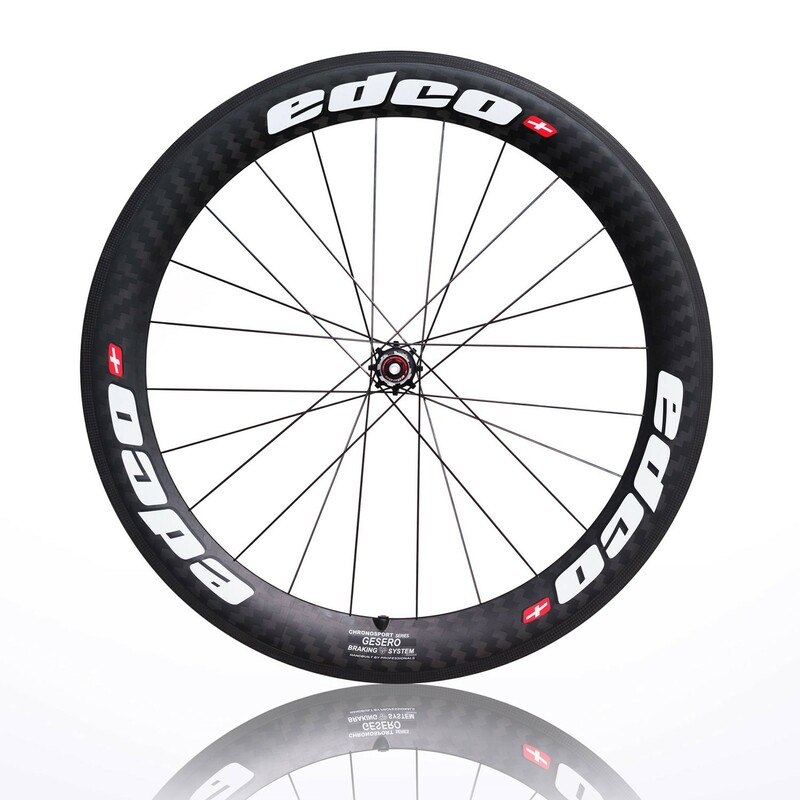 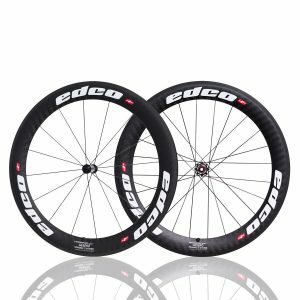 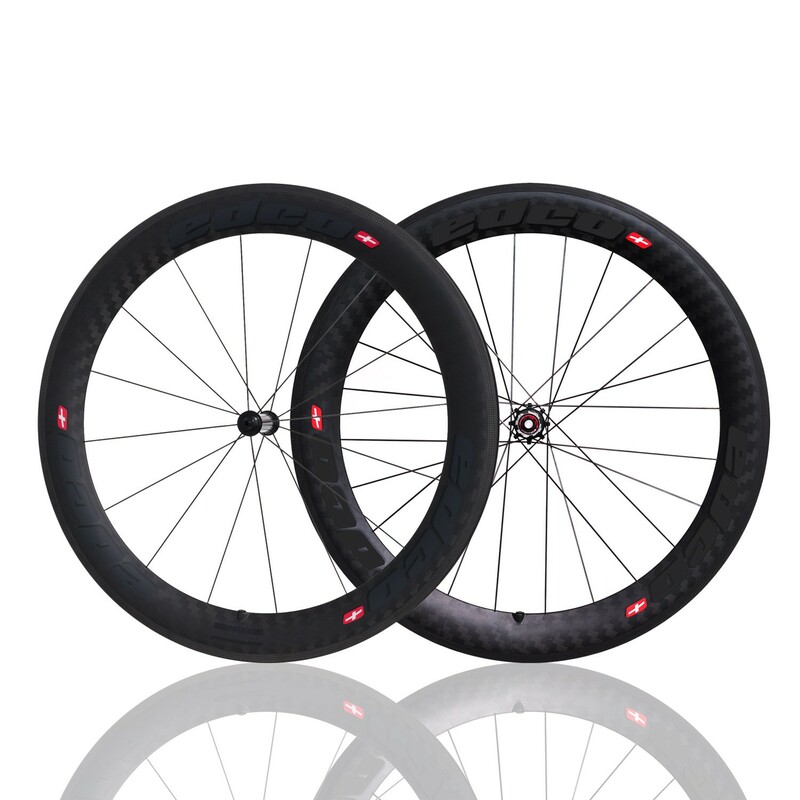 The Edco Aero Gesero (65mm) is a full carbon rim, featuring the ILT Braking Surface. 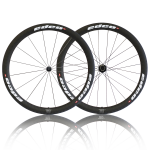 For use with clinchers only. 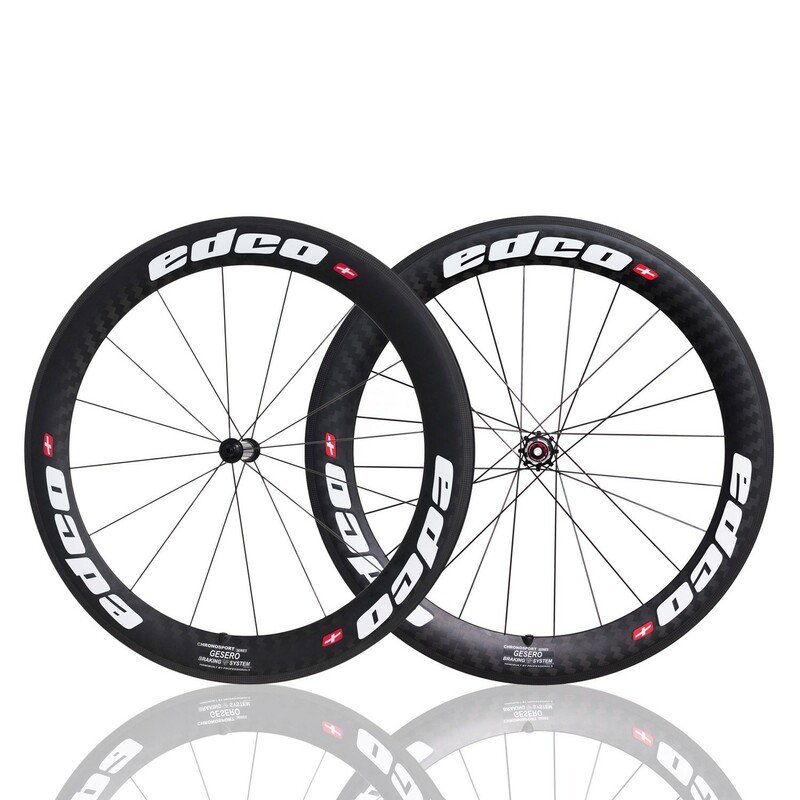 Edco branded wheel bags included. 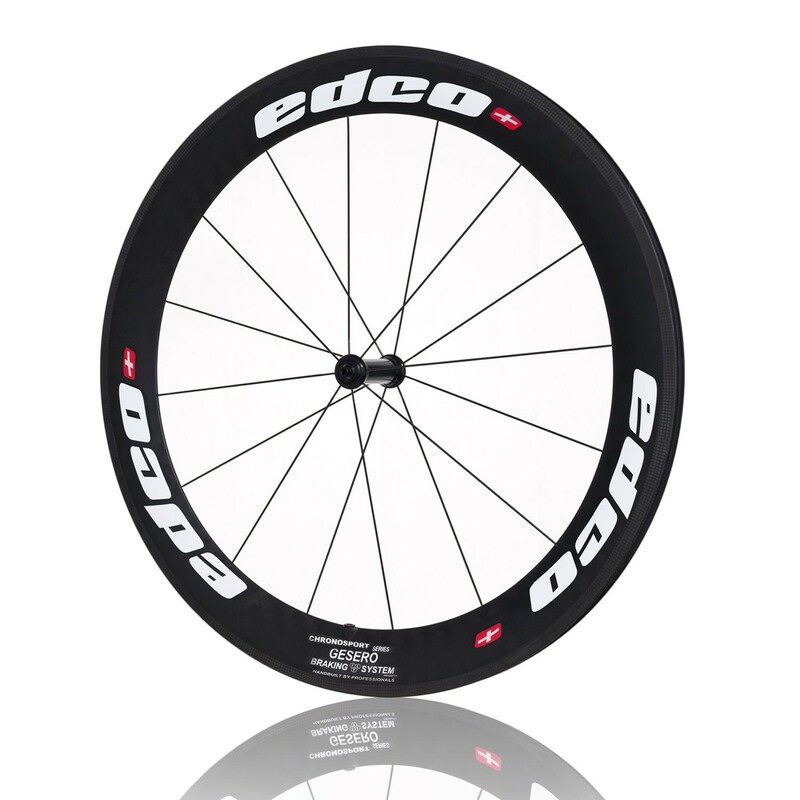 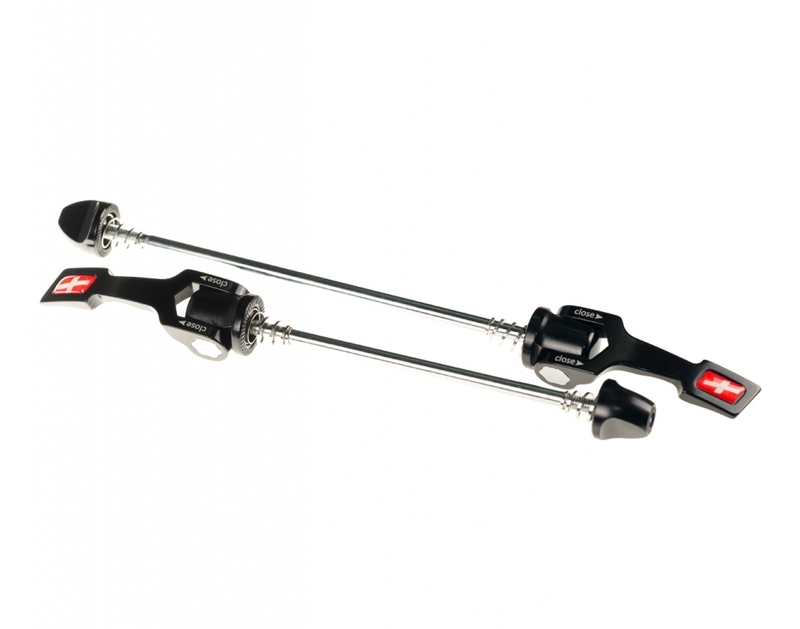 Available in either Shimano/SRAM or Campagnolo freehub body..
Front Hub – Edco Aptera, glossy black anodized, 100mm QR. 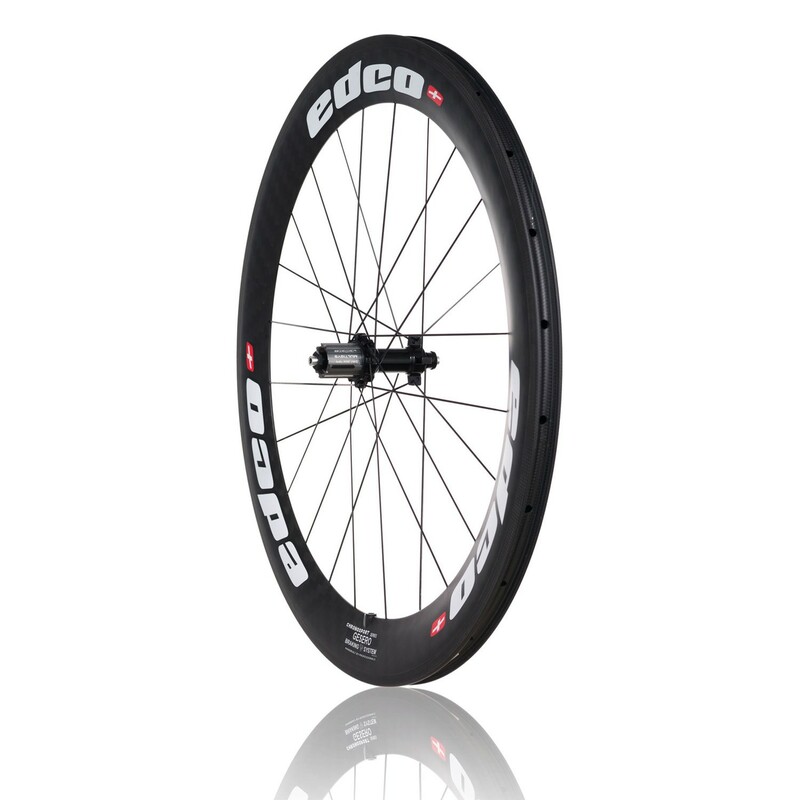 Rear Hub – Edco Aptera, glossy black anodized, 130mm QR.